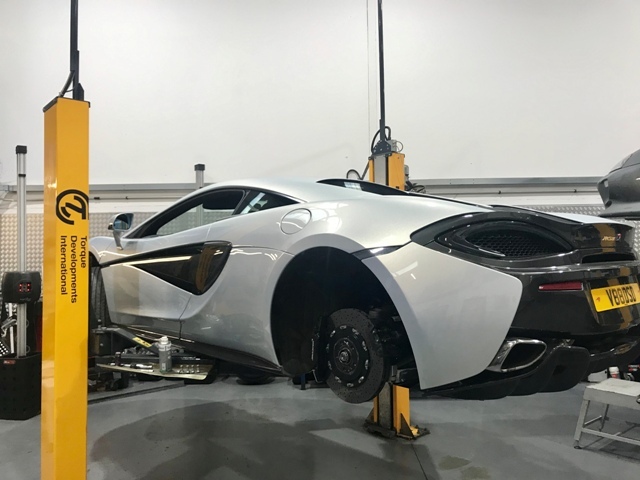 We were invited by a regular client to cast our eyes over his new acquisition – McLaren 570S. 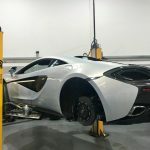 We’d previously made significant improvements to his Aston Martin Vantage V12 and Nissan GT-R35, so we were keen to get a good understanding of the dynamic handling characteristics of this great British supercar! Our 1st task was to perform a “roll out” test in order to gain a benchmark for the geometry settings as this would be the first of any adjustments that we planned to make, then hook up our electronic test equipment for some real-world testing and data gathering. Our first impressions were one of slight disappointment in the way that the command/control loop was quite “numb” (ie – slow to respond) at slow speeds, but “nervous” (ie – too responsive) at high speed. Also, we considered the traction control to be too intrusive which slows the car down. 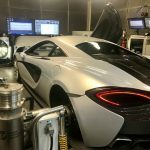 Over a period of just 3 days testing, we were able to hone into optimised geometry settings that completely changed the chassis behaviour, making the handling at slow speed sharper, and high-speed calmer. 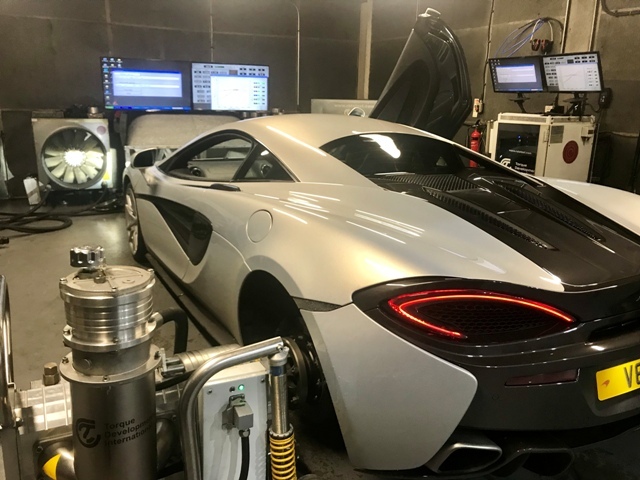 This linearization of the chassis performance makes the car much more predictable, confidence-inspiring, faster, safer, and more importantly – enjoyable! 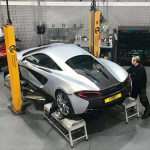 An added bonus is that because the rear tyres now have more grip, the traction control is less intrusive on hard acceleration which also makes the car faster. Feedback from our client: “Wow I just can’t believe how much better the car is now! 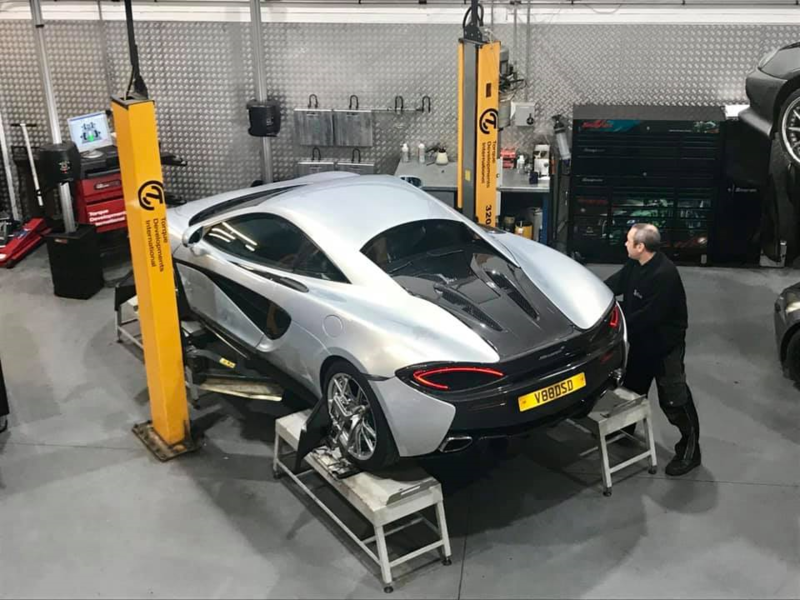 Because this is the only McLaren I’ve driven I thought that was the way it was supposed to be, but I could never drive it properly because I was nervous about it and the traction control was irritatingly slowing me down. I’m now completely confident about using its full potential”.